This is a species that can be found all over the islands. 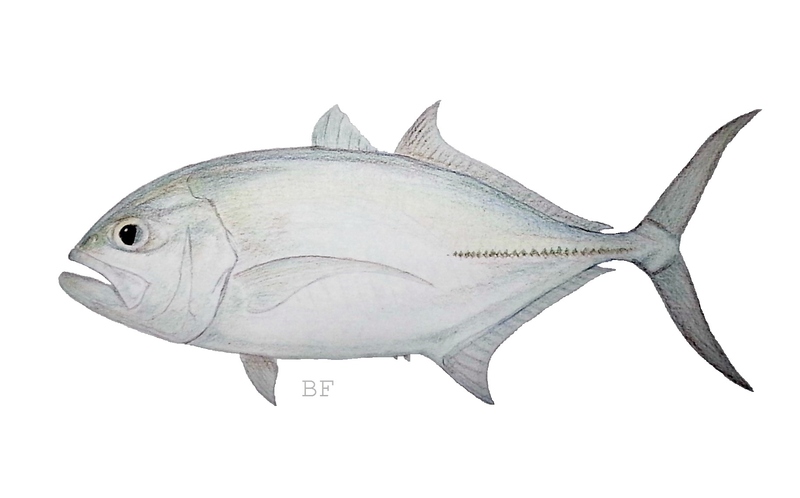 This fish is also known as Bigeye Jack or Dusky Jack in English, Talakitok in Tagalog, and Mahinlo in Cebuano. It can grow up to 18kgs though it is more common to catch the smaller juveniles around reefs and estuaries. These fish school and so are great fun to catch in numbers when they are feeding. This species is know to feed primarily at night or at dawn or dusk. They can be taken on a variety of lures and bait . For lures, choose something that mimics an injured fish or shrimp, and for bait live shrimp works well. The fish pictured above was one of two bigeyes caught on Shell Island, Cebu while fishing a Rapala X-Rap 10. Posted on December 20, 2012, in Trevally (Talakitok). Bookmark the permalink. Leave a comment.